A Baltimore FBI agent stabbed his estranged wife to death before ending his own life with a self-inflicted gunshot wound, police concluded following an investigation. David Raynor, a special agent for the Baltimore Field Office, was embroiled in a divorce and custody case with his estranged wife Donna Fisher when the murder-suicide happened Wednesday. At 8 a.m. Wednesday, a woman called 911 and reported that Donna Fisher had asked her to call “because she was being threatened by her recently estranged husband,” the Anne Arundel County Police Department told ABC News on Wednesday. Police found the couple’s bodies at Fisher’s Brownsville, Md., home. Later that day, the Fisher and Raynor were scheduled to appear in divorce court. Fisher filed for divorce in March 2017. 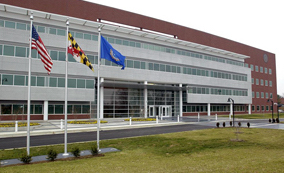 Raynor, who joined the FBI in 1993, had worked at the Baltimore Field Office since February 2003. Posted: March 9th, 2018 under News Story. 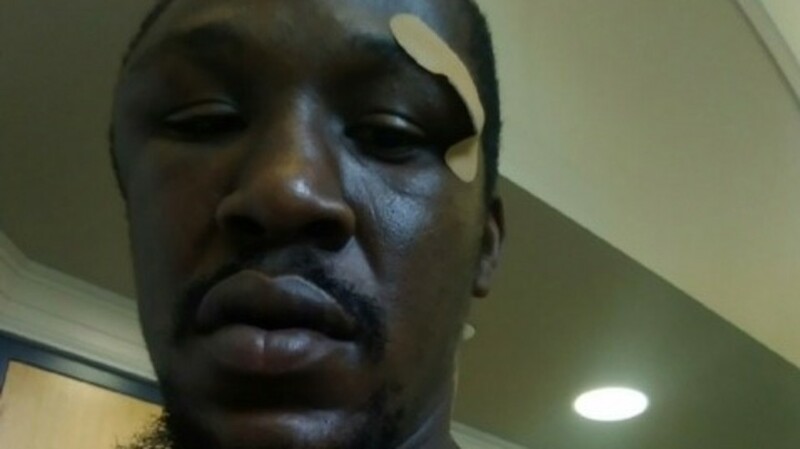 FBI Investigates Brutal Police Beating of Black Man for Jaywalking in N.C.
Johnnie Rush was beaten, chocked and tasered after jaywalking in North Carolina. A day after the FBI announced it was launching a criminal investigation into the brutal police beating and tasering of a black man stopped for jaywalking in North Carolina, the county’s district attorney filed felony assault charges against the white officer accused of using excessive force. Asheville Police Officer Chris Hickman, who resigned following the bloody beating, was arrested Thursday on charges of felony assault by strangulation and misdemeanor assault inflicting serious injury and communicating threats, USA Today reports. Prosecutors say Hickman beat, chocked and used a stun gun on Johnnie Rush, 33, of Asheville, after he was stopped on Aug. 24 for allegedly jaywalking. Hickman posted a $10,000 unsecured bond and was free of jail at 8:45 p.m. Thursday. The FBI’s investigation is expected to focus on potential civil rights violations. A body camera affixed to Hickman showed him punching and chocking Rush, who could be heard multiple times saying he could not great breathe. FBI agents from the Charlotte office interviewed Rush in January. 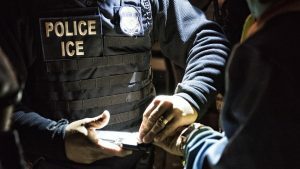 President Trump and Attorney General Jeff Sessions accused Oakland Mayor Libby Schaaf of endangering federal agents by warning the public about a forthcoming immigration sweep. During the four-day enforcement operation, no ICE agents were hurt. In fact, ICE “has experienced relatively few line-of-duty deaths and assaults,” the San Francisco Chronicle reports. No ICE officers were injured or killed in line-of-duty assaults in 2016, the last year in which FBI data are available. In 2015, four officers were injured and none killed in assaults. Seven officers were injured in assaults and none killed in 2014, records show. However, the FBI records do not appear to reflect some on-duty deaths. Absent, for instance, was the death of San Francisco-based deportation officer Brian Beliso, who according to the agency died of a heart attack he suffered during a foot pursuit in Redwood City on June 8, 2016. And a special agent in New Orleans, J. Scott McGuire, died Jan. 24. 2016, after being injured in a hit and run in Miami Beach, the agency stated on its website. The reported injuries to ICE officers were among the lowest in federal law enforcement, FBI figures show. In 2016, 484 Customs and Border Protection officers were assaulted. The Bureau of Indian Affairs saw 504 assaults, while the Marshals Service saw 266 assaults. Mass Shootings: Why Do Authorities Keep Missing Warning Signs?